The famed Washington Monument in Washington, DC points out a faint morning moon just above the tip. 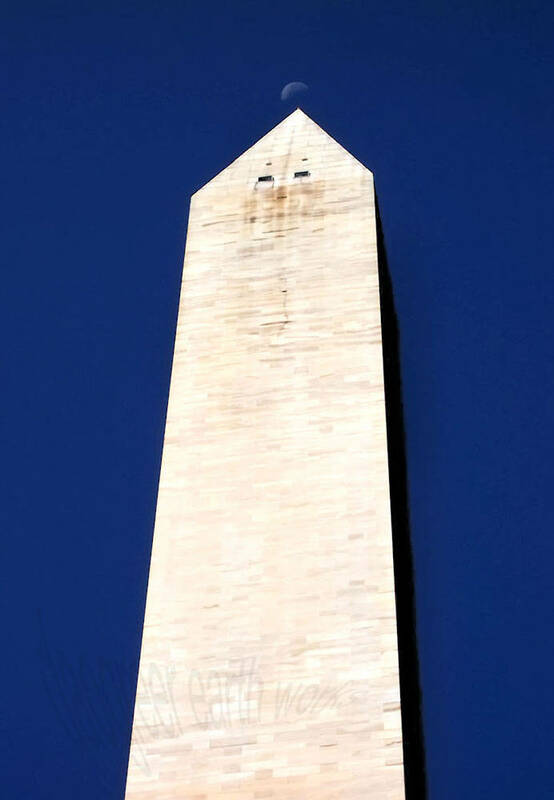 What better way to indicate Earth's lofty natural satellite than the world's tallest obelisk? Photograph was taken in Washington, DC, USA. Image is 955 x 1380 pixels.